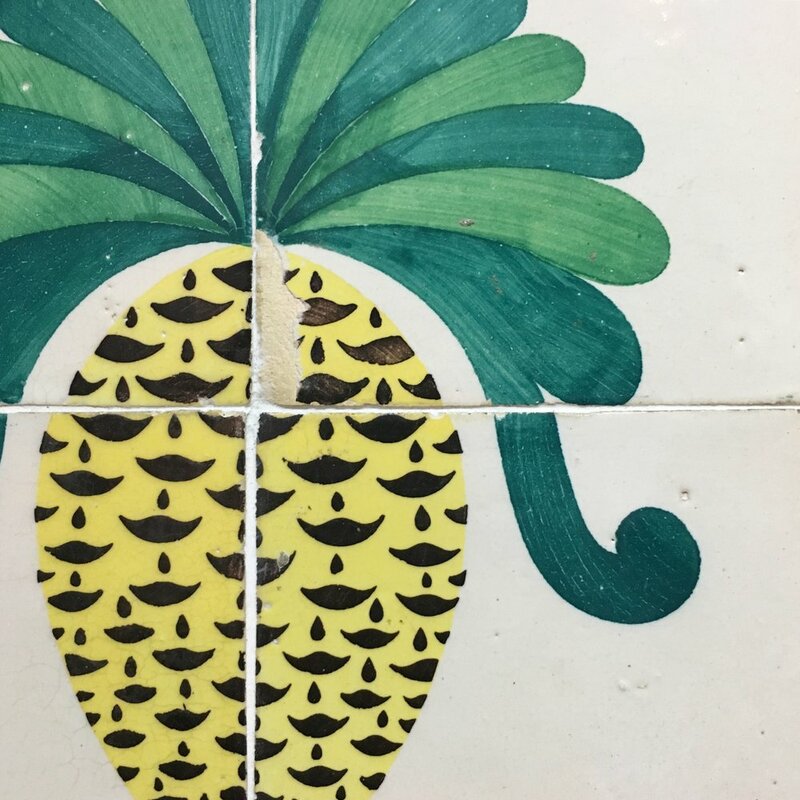 Crumbling pastel facades adorned with colourful patterned tiles, creativity aplenty, custard tarts to die for and the lure of a healthy does of sunshine - how could Lisbon fail as the next BON city break destination?! 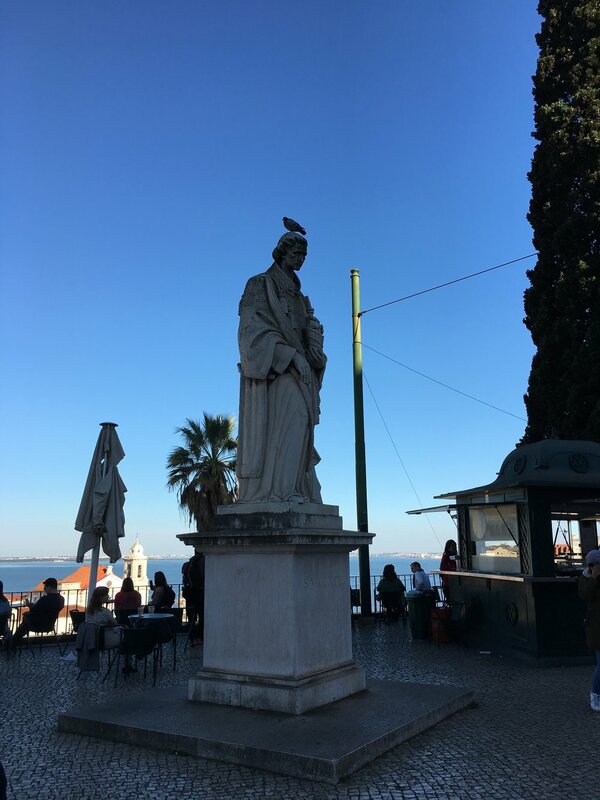 Lisbon is a feast for the senses for anyone with a creative predisposition. Read on for our trip highlights. We arrived in the rain and checked into our apartment. 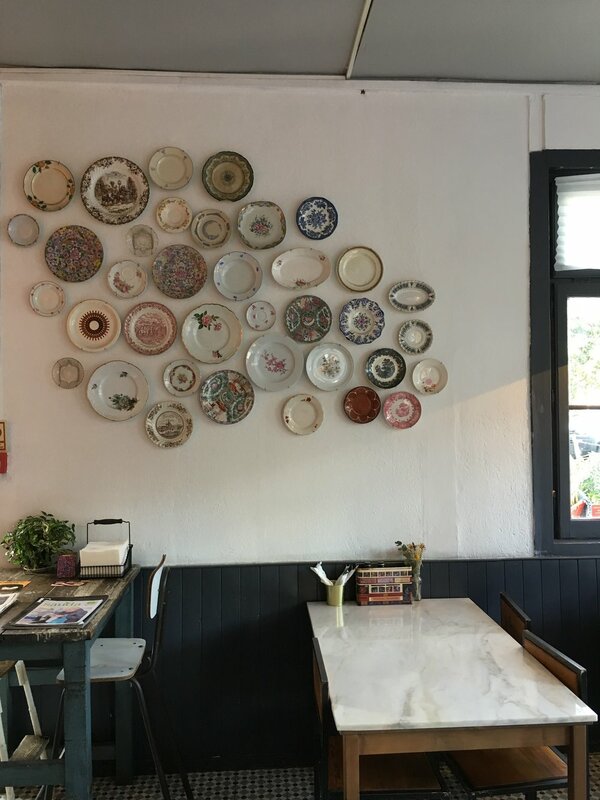 We were really centrally located in the Largo Calhariz area of the city, next to the Bairro Alto district. We then headed into the centre to get some food and explore, I wasn’t the most prepared with my packing and we all got very wet in the heavy showers! Dripping wet, we were welcomed so warmly to the incredible Prado Restaurante. Here we ate incredible taster plates. The Prado celebrates the best that Portugal has to offer, from land to sea. All their dishes are based on national, seasonal and fresh ingredients. We then went to their café and store around the corner - Prado Mercearia. Here we had some interesting (!) teas and admired the beautiful deli display of Portuguese produce. After relaxing at our apartment we headed out to Pizzaria Lisboa for dinner. Amazing pizzas, lovely Portuguese wine and a hazelnut mousse and ice cream pudding that was heavenly. The atmosphere was great here, lots of bustle and located in a great area of the city. The next day we woke to glorious sun and blue skies. With a jam packed day of sight seeing planned, we started with brunch near our apartment. We tried to go to The Mill, but it was so popular and super busy, we found a great place nearby called Break instead. Fuelled up for the day after our brunch, we headed to my must see street - PINK STREET! As the name suggests, the street is pink and perfectly offset with blue houses and a yellow bridge. It happened to be International Women’s Day and we were given beautiful pink gerberas as we walked through the city. A short walk from Pink Street you find the renovated, 19th Century Mercado da Riberia, which houses a daily food market, full of colourful produce and selling everything you could want. At night the market becomes a foodies’ paradise with dozen of stalls representing the best restaurants in Lisbon. We actually came back to eat that evening and loved the bustle and atmosphere of eating here, the food was fabulous. We then decided to get a Tuk Tuk to the MATT (Museum of Art, Architecture & Technology). I would highly recommend it! We had a very blustery but such a fun ride and you really get a feel for the city streets. You can get a Tuk Tuk from many points throughout the city and they are pretty reasonably priced. The MAAT - Museum of Art, Architecture and Technology opened last October. Presenting itself as a new cultural centre in the city, the MAAT represents national and international exhibitions with contributions by contemporary artists and architects. The MAAT has helped revitalise the beautiful Tagus riverfront of Belém’s historic district and was designed by the prestigious British female architect Amanda Levete. We were blown away with how beautiful it was here and it was a definite trip highlight for us. 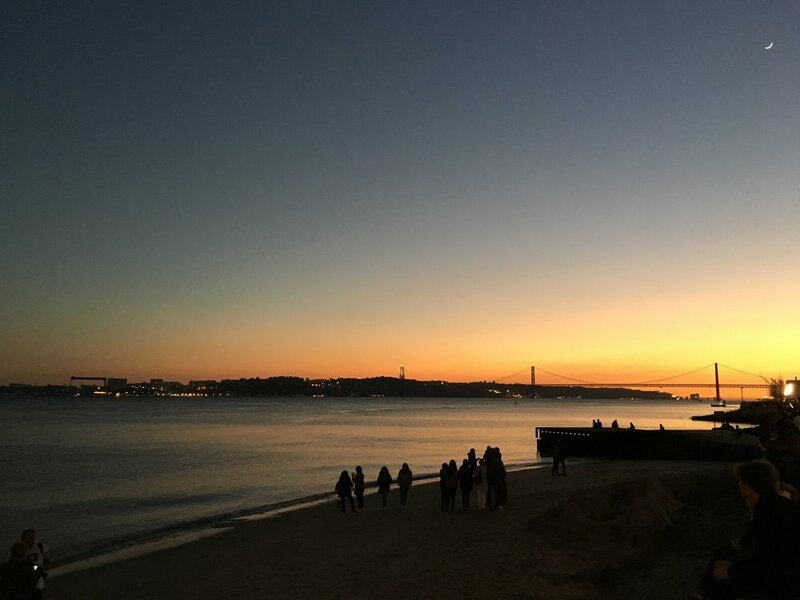 The pedestrian roof enables you to take in the fabulous sights of the city to one side and to the other, the Tagus river over which the impressive Ponte 25 de Abril suspension bridge spans. Above the hills looms Lisbon’s impressive take on Rio de Janeiro’s landmark, the enormous statue of Cristo Rei (Christ the King), built in 1959. Adjoining MAAT is the iconic Tejo Power Station, connected through a landscape project designed by Lebanese architect Vladimir Djurovic. The old power station has the most beautiful exhibition spaces inside. We thoroughly enjoyed a visit around both spaces and exhibitions. The Japanese artist developed this project during one year of research and field work in Portugal. 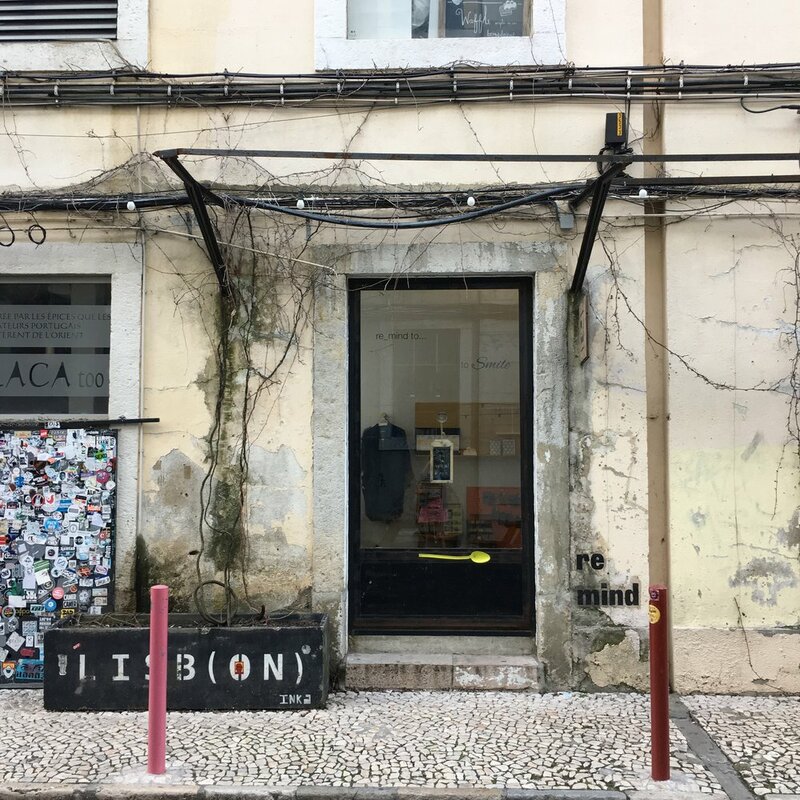 The installation, commissioned by MAAT, includes both plastic waste and abandoned boats collected on Portugal’s shores during beach cleaning campaigns by volunteer organisation Brigda do Mar. Hello, Robot. Design between human and machine. This show examines the current boom in robotics. It comprises more than 200 exhibits from the fields of design and art and includes robots used in the home. Carlos Bunga: The architecture of life. Environments, sculptures, paintings and films. Using only cardboard and paint, Bunga builds fantastical models, furniture as sculptures and paintings as immersive environments. Bunga’s work explores cycles of construction and destruction as well as the creative and symbolic potential of ruins and nomadism. A short sunny walk along the Tagus river took us to the fabulous LX Factory. This former manufactory complex is an exciting creative hub of independent shops, artists studios, cafés and exhibitions. We had a great late lunch in Fabrica before exploring the sights. We walked through the beautiful streets and did some shopping on the way back to our apartment, before heading out again to the Mercado da Ribeira for dinner and some drinks. Day 2 saw us head to the nearby Largo do Carmo, where the Igreja do Carmo ruins stand. An earthquake in 1755 caused tremendous destruction. The foundations date to the 14th Century. This impressive structure on the hill is truly spectacular. From here we headed to Dear Breakfast for brunch, via some gorgeous streets and shops. Views from Igreja do Carmo over Lisbon’s tiles rooftops and the São Jorge castle. The neo-gothic lift - Elevador de Santa Justa to the right. We had an amazing brunch at Dear Breakfast. The white washed stone arches and friendly service made it one of my favourite spots to eat on our trip. I also had a hotly anticipated Pastéis de Nata -a truly delicious Portuguese custard tart with beautifully flaky pastry and a soft custard filling, sprinkled with cinnamon - yum! 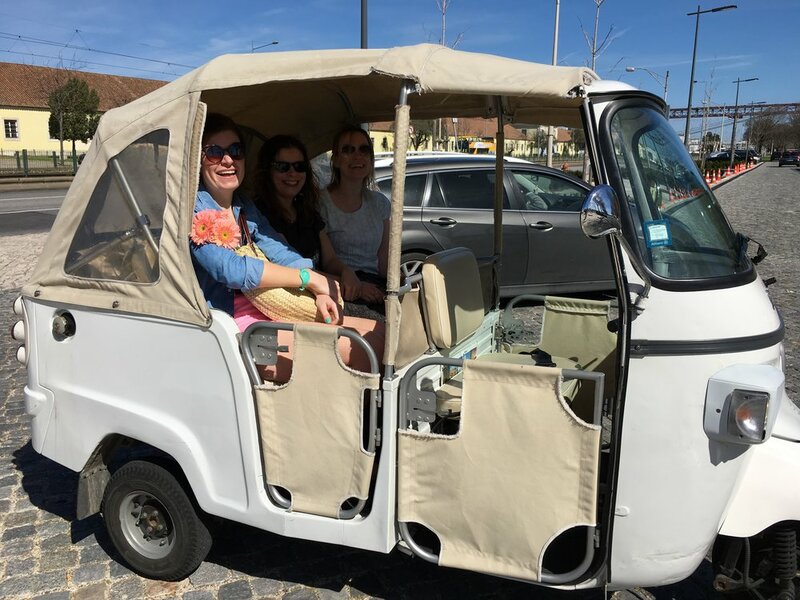 After brunch we headed for a trip on the renowned Tram 28 tour around the city which goes from Bairro Alto to Alfama and the castle. As we had heard, it was incredibly busy. These original 1930’s wooden trams give a truly authentic experience of Lisbon. 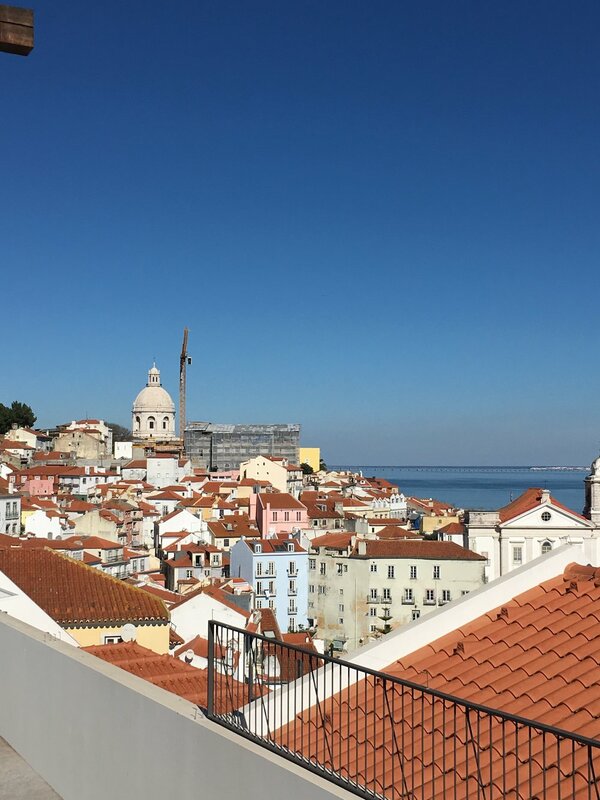 We hopped off in the Alfama district and wandered the beautiful streets before grabbing a beer on the rooftop bar at the Memmo Alfama Hotel. A few technical difficulties (a taxi broke down on the tram track!) led us to cut short our tram trip and head back into the centre of Lisbon. We walked back to our apartment enjoying the a walk at dusk through Praça do Comércio (Commerce Square). The stately arcades and yellow government buildings line three sides of the vast square, the fourth is open to the river, with Venetian style marble steps leading down to the water. The waterfront was bustling with people enjoying Saturday night drinks and meals. We headed back out for our final evening in Lisbon and had an incredible meal at Bairro Do Avillez. It is one of the restaurants of Jose Avillez, the most famous chef of Portugal. 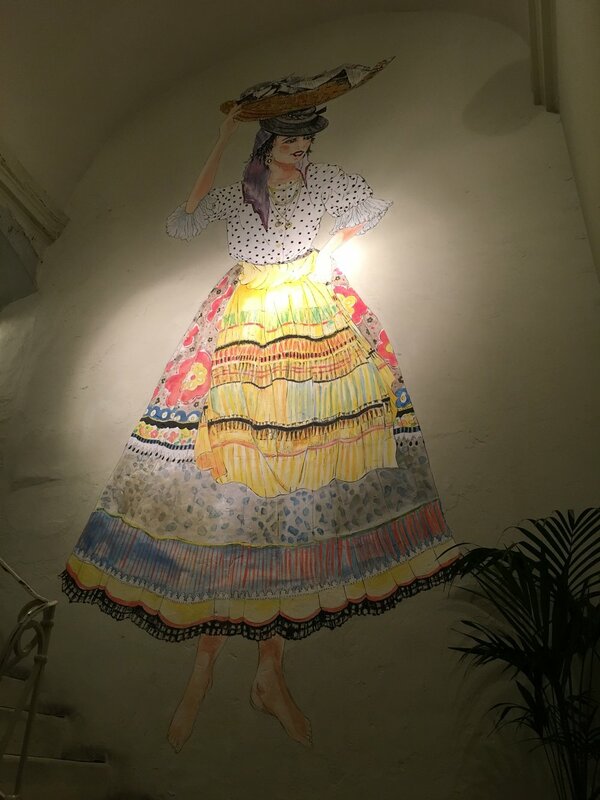 The building and decor was stunning, it is a former convent, now decorated as a typical Portuguese barrio. Absolutely heaving on a Saturday night, we got a table at about 11.30pm, it is that popular! The staff were so welcoming and the food was outstanding, I highly recommend the Pasteis de Nata with coffee ice cream - a definite spot to eat if you’re in Lisbon. 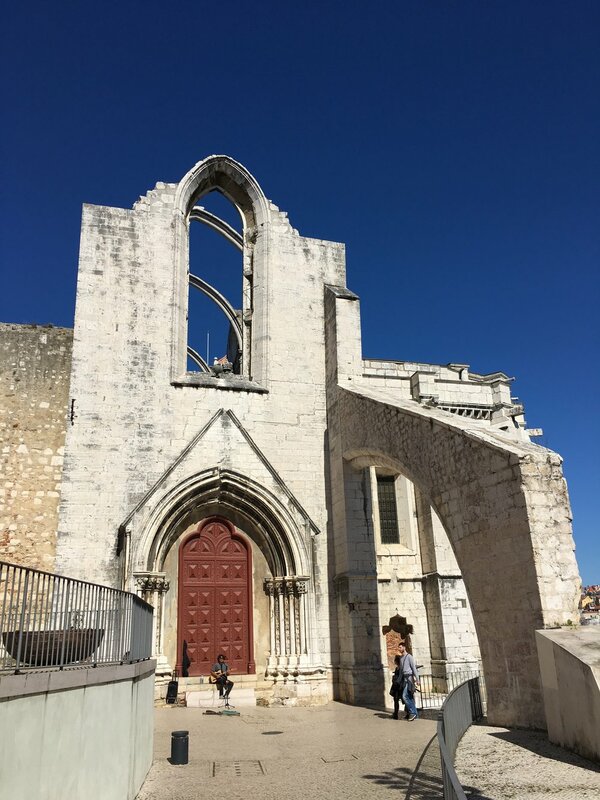 We reflected upon our fabulous trip and definitely plan to come back, there is so much more to see in this absolute gem of a city - Lisbon IS BON!